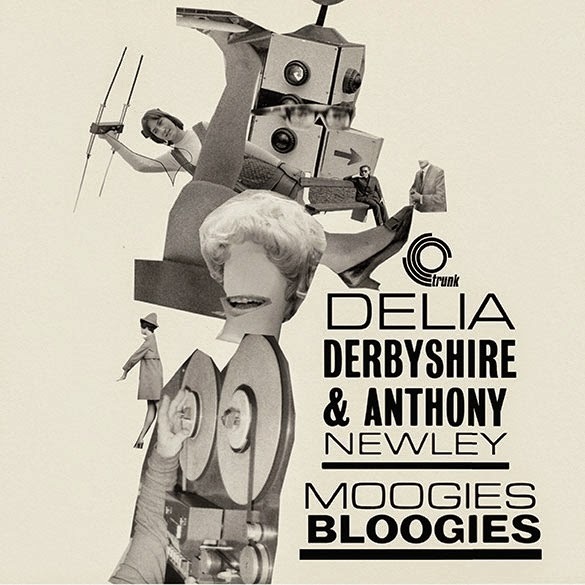 Here we have an unreleased collaboration between Delia and the multi-talented Anthony Newley created apparently as soundtrack pieces but remained unused due to his move to the US with then wife Joan Collins. Over on the B side is something much, much stranger. 'I Decoded You (Moogies Bloogies pt.2)' sounds unlike anything else by Delia that I've ever heard and for it's 1 minute 28 second run time it is filled with busy clangs and tootles before twisting suddenly into a calliope waltz; over it all Newley, in another (more 'cultured') accent again signs a frankly creepy love song. The notes on the reverse of the sleeve make the claim that musically this is an example of Delia sampling which seems reasonable and these folks are far more knowledgeable on this topic than me. 7 inch singles are rarely particularly cheap these days but they remain my favourite format and combining it with an unreleased rarity by a favourite musician makes this a real treat that's very much worth the asking price.